Jamie M. Dagg's first time feature as both writer and director, River, shows promise of great things from the filmmaker. River is a naturalistic thriller which makes the most of its gorgeous Laos setting resulting in an original and aesthetically pleasing piece. John Lake (Rossif Sutherland) is a doctor who works in South Laos for a NGO. After losing a patient, Lake attempts get some down-time, but after a run in with a bolshie Australian tourist finds himself the subject of a manhunt. Lake attempts to make his way out of the country while law enforcement follow hot on his trail. Opening with Lake's small medical practice inundated with patients, the grisly naturalistic tone of River becomes apparent with a hacksaw foot amputation and a stream of blood-spurting. This medical scene sets out the credible and queasy tone that Dagg runs with throughout the whole piece. As Lake attempts to clear his head and take a small vacation - ultimately leading to a conflict that sees him go on the run - River takes the shape of a frantic chase film with Lake attempting to evade authorities. From the night of the incident onwards, River mostly grips until its final few moments - but few scenes are as tense and exciting as Lake's attempt to escape the small community where he vacationed. When a body is found authorities soon swarm the island where authoritarian looking police question the flustered doctor. Sutherland's quiet but deeply expressive performance captures the sheer frantic energy faced by Lake as his he considers every option possible to escape. The subsequent scene is directed with a realistic eye by Dagg who makes every checkpoint or passing police vehicle feel like it has the potential to be the end of Lake's journey. Much of the rich character of River is delivered through DoP Adam Marsden's predominant use of outdoor locations and natural light sources. The bustling Laos locations like shopping centres or bus stations become a paranoiac's worst nightmare, whilst the rural countryside's lush greens and quiet lakes provide a stark yet safer cover for escaping doctor. The beauty of these locations remain a key highlight of River and setting a chase film in Laos gives the film a welcome originality. Dagg's camera is always on the move, meaning this sense of panic always feels prescient with capture always feeling like a possibility. Although predominantly tense and credible for the most-part, River disappoints in its final stages where a perverse morality trip takes over and undermines the previous character work. 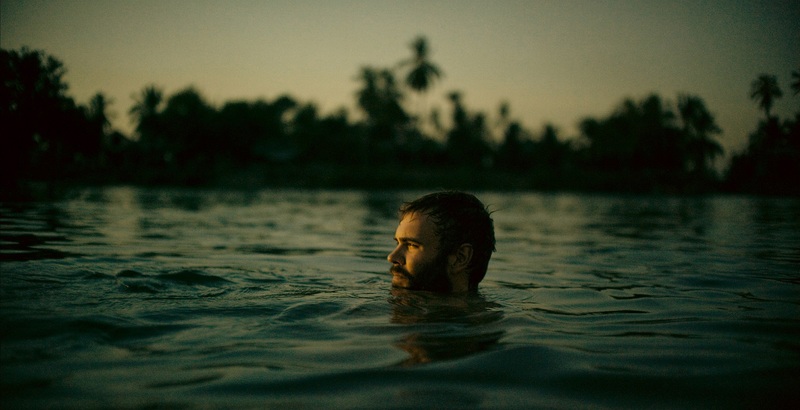 River is an impressive debut from Dagg that provides a frantic and unique take on the chase film, whilst making the most of its stunning Laos setting.